Christmas Party Slated, Save the Date! 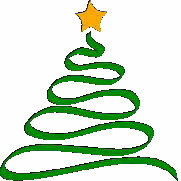 Planning is underway for a combined VFW/American Legion Christmas Party on Saturday, December 5. Traditional holiday fare will be served and an auction of donated holiday items will be held as a means of defraying the cost of the event.Bring the family and expect a good time! Watch for further details on start time and logistics in your November newsletter and at the November Post meeting.